The Protecting Young Victims from Sexual Abuse and Safe Sport Authorization Act passed into law on February 14, 2018 (S.534). 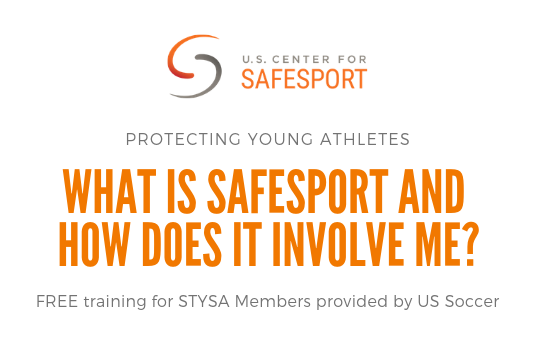 The law protects young victims from sexual, emotional, and physical abuse and established the US Center for SafeSport (which is an independent, national non-profit whose focus is on ending all forms of abuse in sport; they have authority over organizations regarding amateur athlete safety). Law requires enhanced mandatory reporting policies, training, and prevention for certain individuals involved in youth/amateur sport organizations. In addition, the law establishes reasonable procedures to limit one-on-one interactions and prohibits retaliation. ©2019 Alamo Area Youth Soccer Association / SportsEngine. All Rights Reserved.